Samsung has launched two new colour variants of its Galaxy A8s smartphone in China ahead of the Valentine’s Day celebrations. Samsung had originally showcased the new colour variants of the Galaxy A8s back in January and announced that the new versions will be on sale in for the Valentine’s Day. The new aesthetic avatars of the Galaxy A8s, one of which bears a pink and blue gradient finish while the other one flaunts a pink and yellow gradient texture, have now gone on sale in China starting today. The Samsung smartphone’s gradient variants have already been listed on the Samsung e-shop in China and are also available on Chinese e-commerce marketplace JingDong Mall (JD.com). 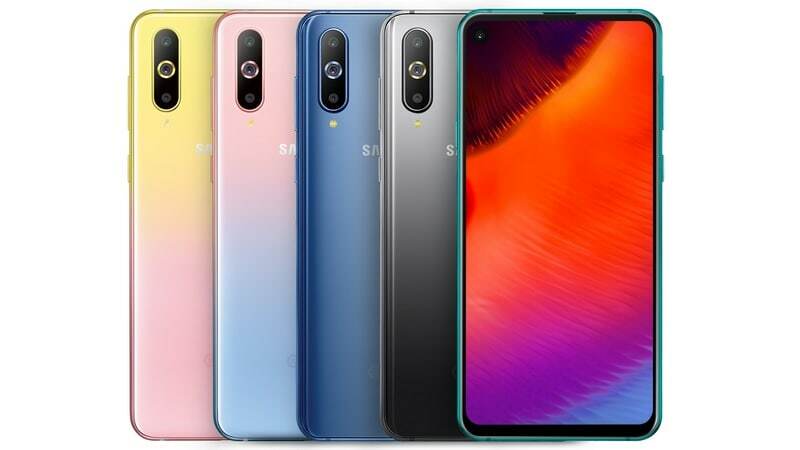 It appears that the new gradient versions of the Galaxy A8s, which are being called “Unicorn Edition” on Samsung website, will only be available in a single configuration with 6GB of RAM and 128GB of internal storage. The higher-end variant of Galaxy A8s with 8GB of RAM and the same amount of internal storage will apparently be available only in the originally launched trio of the Aurora Black, Elf Blue and the Alien Silver colour options. As for the pricing, the gradient pink/yellow and pink/blue variants of the Samsung Galaxy A8s will carry a price tag of CNY 2,799 (roughly Rs. 29,300). The company is offering a host of freebies with the purchase of the smartphone such as accessories, no-cost EMI plan and one year’s worth of extended warranty among others. Aside from the bold new aesthetics, the internal hardware of the smartphone’ gradient variants remains the same. However, there is no word when the Galaxy A8s’ pink gradient versions will be launched in markets outside China. The Galaxy A8s sports a 6.2-inch (1080×2340 pixels) full-HD+ Infinity-O display with a 19.5:9 aspect ratio and is powered by the Snapdragon 710 SoC paired with 6/8 GB of RAM and 128GB of internal storage. It features a triple rear camera setup, which consists of a 24-megapixel main sensor, a 10-megapixel telephoto sensor and a 5-megapixel depth sensor, while a 24-megapixel sensor handles selfies. The smartphone draws power from a 3,400mAh battery and runs on Android 8.1 Oreo.